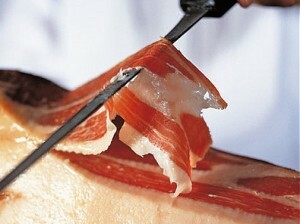 High pressure processing (HPP) has become a popular method to reduce bacterial load on dry-cured ham. However, HPP processed hams tend to present higher saltiness than non-processed ones. In this study was evaluated the effect of processing Biceps femoris samples of 9 dry-cured hams aged for 15 months at a pressure of 0.1, 300, 600 and 900 MPa. 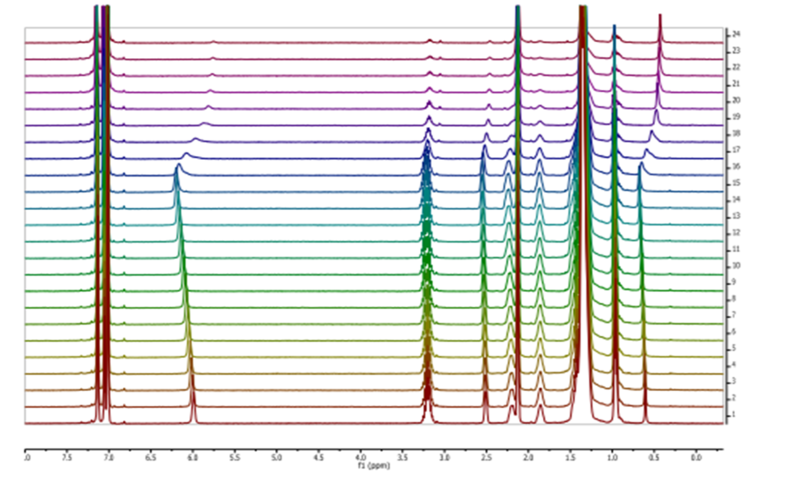 23Na-Nuclear Magnetic Resonance (NMR) relaxation values were used to determine the mobility of sodium. Ultrastructure changes at 600 MPa were evaluated by transmission electron microscopy (TEM) analysis. Double quantum NMR experiments demonstrated that pressure promoted tighter binding of bound sodium to proteins. However, a small proportion of sodium was liberated. The modification of myofibril ultrastructure at 600 MPa observed by TEM and the denaturation observed between 300–600 MPa facilitate the liberation of a proportion of sodium. That together with the decrease of water holding capacity between unpressurised and 900 MPa samples makes sodium more noticeable for saltiness perception, which could be of interest for sodium reduced dry-cured meat products.